Abstract—Learning analysis is the motive force of optimizing teaching and realizing individualized learning. Compared with the study of learning behavior in the network environment, it was relatively less in the mixed teaching mode. In this paper, students' attention performance in class and resource learning performance online were taken as the research object to explore the characteristics of students’ learning behavior in mixed teaching mode. First of all, the attention data acquisition model was used to collect the students' performance data in class to explore the attention performance characteristics of students. Secondly, the effective time length calculation model was used to filtrate effective online learning records. Finally, based on the above research, the correlation was explored between students' online learning behavior and offline learning behavior, and the learning performance between current course and other courses. Research showed that those who came from different faculties and majors but taking the same optional course , their online learning behavior performance had a significant positive correlation with their classroom learning behavior. In addition, their learning behavior performance in the current course had significant positive correlation with grades of the similar course in the past. It indicates that the students' learning behavior is relatively stable under the blended teaching pattern in Colleges and universities. Index Terms—Blended teaching pattern, learning behavior analysis, correlation analysis. The authors are with National Engineering Research Center for e-Learning, Central China Normal University, Wuhan, Hubei 430079 China (e-mail: shujiangbo@mail.ccnu.edu.cn, 972455086@qq.com, 2311230078@qq.com). 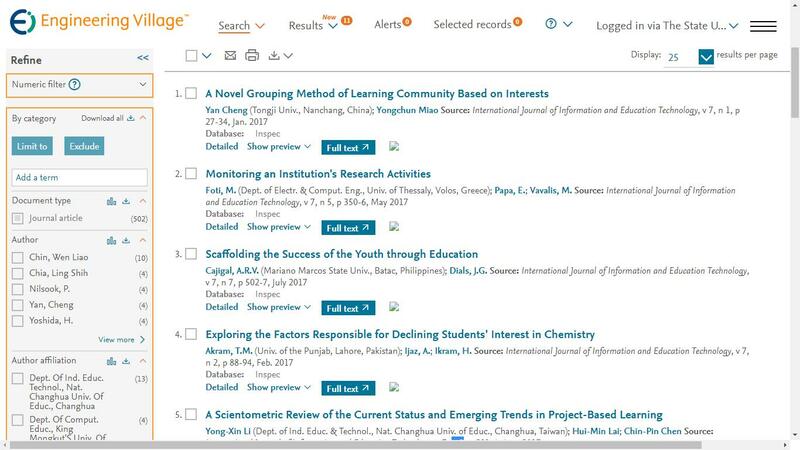 Cite: Jiangbo Shu, Qianqian Hu, and Min Zhi, "Research on the Learning Behavior of University Students in Blended Teaching," International Journal of Information and Education Technology vol. 9, no. 2, pp. 92-98, 2019.